In an age of disruption and innovation, the real estate industry is the latest target ... this time from an Aussie start-up. 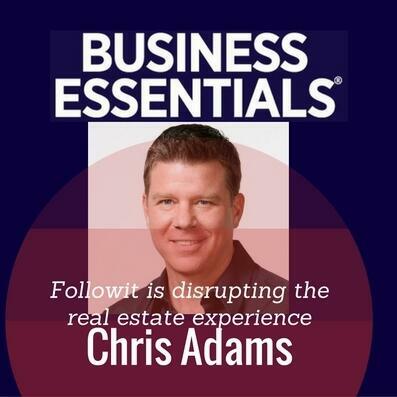 Forget the ‘Technology of Things’ and make way for the ‘Technology of Me’, says Chris Adams. Chris is a tech expert and advisor to Followit, a new technology which helps home buyers find and receive real time updates on houses that is suitable to just them. It’s a more personable service and the big advantage is the communication between vendors, agents and buyers.